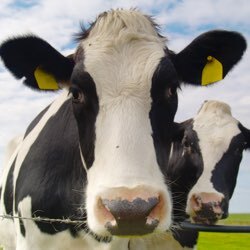 Bovine (cow) colostrum is biologically transferrable to humans, making it an ideal supplement for people who want to obtain its healthful benefits. Colostrum contains what scientists dub PRPs. PRPs are small chains of amino acids that benefit the body in a myriad of ways. 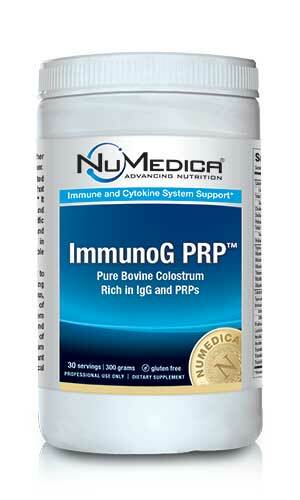 Research has demonstrated that colostrum's PRPs are important for immune system health and function. 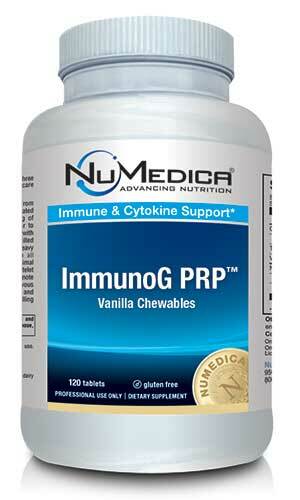 PRPs have the ability to ramp up the immune system to fight infection. Moreover, PRPs appear to have a regulatory effect as they can turn down the immune system response in the case of autoimmune disorders. Colostrum also plays a crucial role in the repair of tissues and damage. In fact, while warding off infection, colostrum also promotes healing of any tissue the infection may have damaged. Colostrum is also important for maintaining gut health. Many people with chronic gut issues like Crohn's disease or irritable bowel syndrome find their symptoms improve upon taking colostrum. Colostrum also improves nutrient absorption in the digestive tract. ImmunoG PRP Powder provides a rich source of IgG (Immunoglobulin G) and PRPs (Proline-Rich Polypeptides). It also supplies protein, immune factors, growth factors, vitamins and minerals to ensure health and vitality naturally. IgG is a type of antibody, actually a protein. 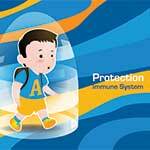 It is the main type of antibody found in our blood and is used to protect the body from infection. ImmunoG PRP Powder - 30 svgs 1 Scoop (10 g) 30 Mix one scoop (10 grams) in unchilled water or other beverage 1-2 times daily or as directed by your healthcare practitioner. Caution: Do not use if you are pregnant or if you have received an organ transplant. Keep out of reach of children. ImmunoG PRP Capsules - 120c 4 Capsules 30 Take four capsules twice daily or as directed by your healthcare practitioner. Caution: Do not use if you are pregnant or if you have received an organ transplant. Keep out of reach of children. ImmunoG PRP Capsules - 240c 4 Capsules 60 Take four capsules twice daily or as directed by your healthcare practitioner. Caution: Do not use if you are pregnant or if you have received an organ transplant. Keep out of reach of children. ImmunoG PRP Chewables Cherry - 120t 2 Tablets 60 Adults chew two tablets twice daily; children chew one tablet twice daily or as directed by your healthcare practitioner. Caution: Do not use if you are pregnant or nursing or if you have received an organ transplant. 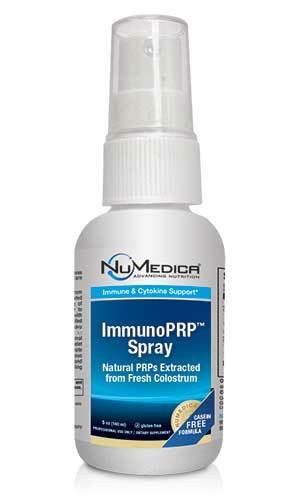 Immuno PRP Spray - 2.5 oz 4 Sprays Spray four times directly into the mouth and swallow. Take twice daily, early in the morning and before bedtime, or as directed by your healthcare practitioner. Caution: Do not use if you are pregnant or if you have received an organ transplant. Keep out of reach of children. Storage: Store at room temperature. Refrigerate after opening and use within 30-45 days of opening. Immuno PRP Spray - 5 oz 4 Sprays Spray four times directly into the mouth and swallow. Take twice daily, early in the morning and before bedtime, or as directed by your healthcare practitioner. Caution: Do not use if you are pregnant or if you have received an organ transplant. Keep out of reach of children. Storage: Store at room temperature. Refrigerate after opening and use within 30-45 days of opening. Typical Amino Acid Profile contains: Essential Amino Acids: L-Isoleucine - 146 mg, L-Leucine - 237 mg, L-Lysine - 418 mg, L-Methionine - 408 mg, L-Phenylalanine - 242 mg, L-Threonine - 403 mg, L-Valine - 216 mg; Non-Essential Amino Acids: L-Alanine - 250 mg, L-Arginine - 230 mg, L-Aspartic Acid - 557 mg, L-Cysteine - 112 mg, L-Glutamic Acid - 913 mg, L-Glycine - 117 mg, L-Histidine - 146 mg, L-Proline - 512 mg, L-Serine - 477 mg, L-Tyrosine - 496 mg.
Other Ingredients: Sunflower lecithin (non-GMO; non-allergenic), Medium Chain Triglycerides (MCT). Does not contain artificial colors, sweeteners and preservatives. Tip 3: I Will Not Be Mastered! Manage your eating habits. 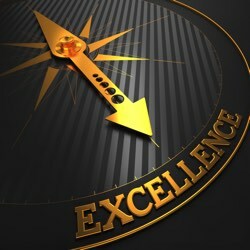 Learn more in part three of this blog series entitled Seven Tips For Balanced Living. 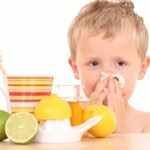 Can I give the powder to my 6 month old to boost his immunity during this cold/flu season. He keeps getting sick. Yes. 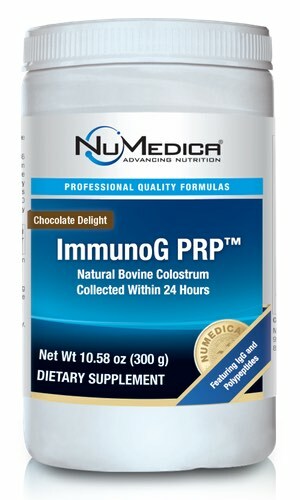 NuMedica ImmunoG PRP Powder is great for kids.